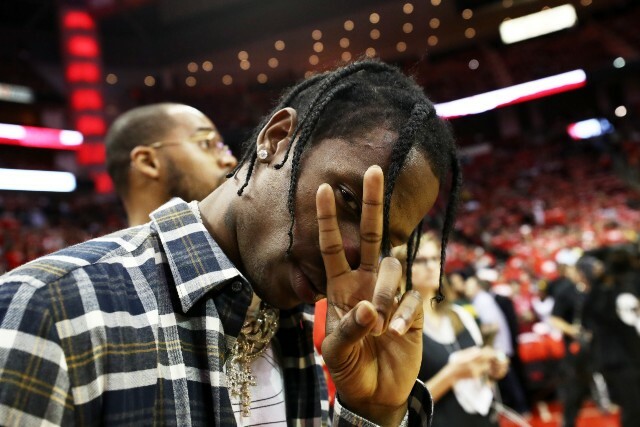 Travis Scott announced yesterday that his new album Astroworld, the follow-up to 2016’s Birds in The Trap Sing McKnight, will be released this Friday, August 3. To continue the new album’s promotion, he took to Instagram today to show off the cover art, and—whoo boy, does it stink. The cover features a giant gold statue of Travis’ head made to match the entrance to the Texas Cyclone ride at the former Six Flags Astroworld of Houston, Texas. It’s a goofy idea that gets no favors from the chaos surrounding it: gleeful children amid a storm of popcorn in the foreground and a bunch of people walking into gold Travis’ fiery hellmouth in the background. The image, shot by David LaChapelle, is surprisingly bright and colorful for what’s sure to be another round of bleak synths and melancholy drug raps. 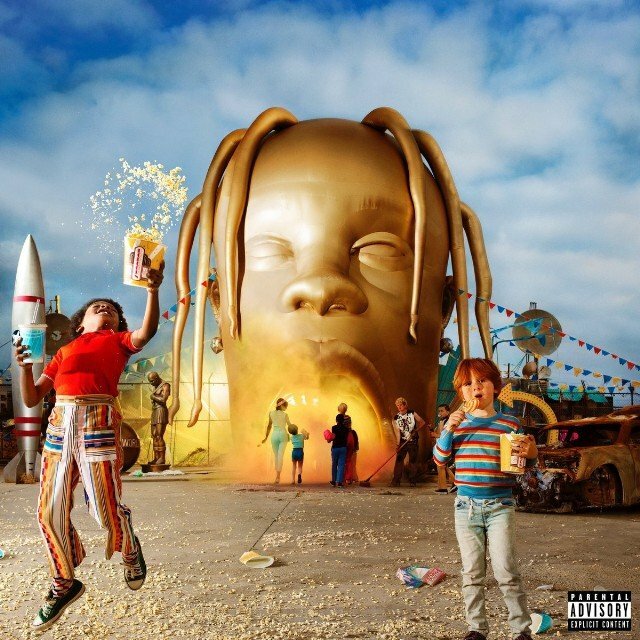 See the Astroworld cover below.